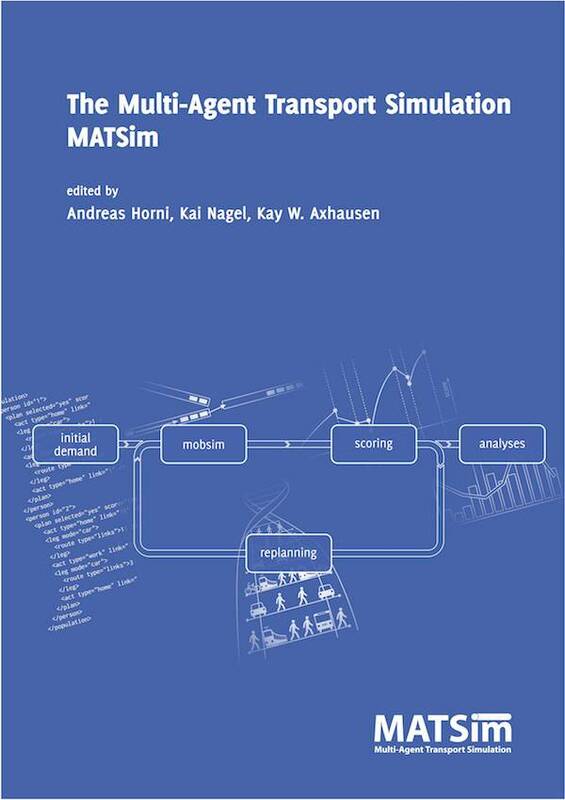 The MATSim Book is the official reference and user documentation for MATSim. Part I is an introduction on how to use MATSim, using only the functionality that MATSim brings out-of-the-box. Part II first explains the different data sets needed to run MATSim, and then introduces a number of extensions which add additional functionality to MATSim. Part III provides a lot of insight into the theoretical background of MATSim. Part IV finally presents over 40 use cases from around the world where MATSim was or still is used. There is an extract of the first couple of chapters, which contains the most relevant topics for new users. This extract is updated every year to the newest version of MATSim. The book is published and available unter the CC-BY 4.0 license. If you use MATSim and write a scientific paper about it, please cite the book as reference to MATSim.